One of the most underrated aspects of industrial hemp is its use for land reclamation and remediation. Below are excerpts from a very insightful report written by T.J. Cole for Messiah College. With the combination of brilliant young minds and this type of vision for hemp, we will help ensure a greener, healthier and sustainable future for all of us. The full report here. 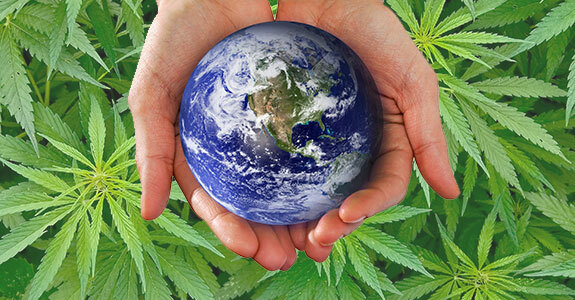 PAHIC is committed to exploring and promoting all of the positive environmental uses for hemp. While it is universally known in sustainability that urban areas lack access to healthy, local food, and green space, few people outside the field seem to know amelioration tactics. Brownfields redevelopment has long been accepted as a means of urban restoration, but it hardly seems to hold true to a scientific dogma. “Gary”, Executive Director of an urban farm non-profit in Pennsylvania, claims to have spent several years adding organic material to his vacant lots and eventually bringing in his own topsoil. Though this method worked, and “Gary’s” farm has flourished immensely, it does not seem to have been the most efficient means of conditioning a dilapidated and contaminated soil plot for vegetative growth. Industrial hemp, which is on the verge of legalization in the state of Pennsylvania, has the proven ability to not only withstand contaminated soils, but accumulate the toxins within. 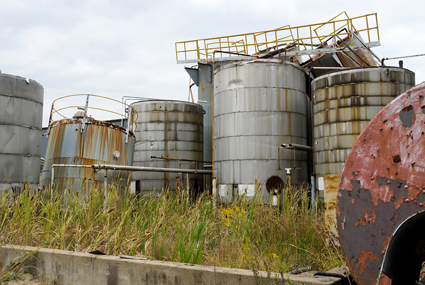 Such poor soil qualities are characteristic of brownfields, defined as “real property, the expansion, redevelopment, or reuse of which may be complicated by the presence or potential presence of a hazardous substance, pollutant, or contaminant. 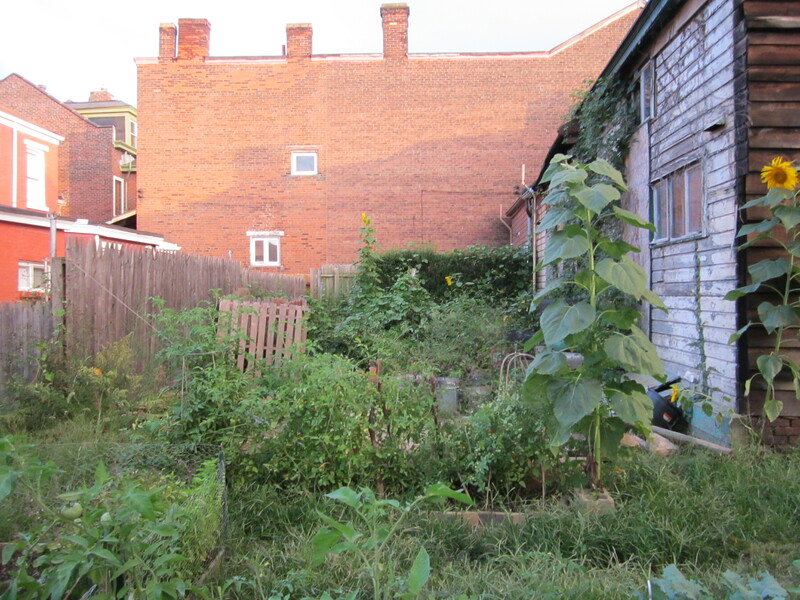 Vacant lots in urban areas are all potential brownfield sites, which may be phytoremediated via industrial hemp by a state Voluntary Cleanup Program (VCP) for future development of green spaces or community gardens. A main struggle for starting urban farming businesses seems to be fertile, healthy soil- the state of the ground’s health and its requirements for revitalization discourage one’s initiative for garden growth. 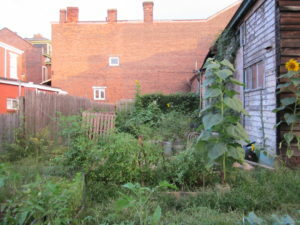 Brownfield development in conjunction with industrial hemp will eliminate the first step for urban gardeners’ careers. Proposed here is a phase-oriented restorative research framework on using higher education institutes to do research on hemp as a phytoremediator on urban brownfields, which will facilitate creation of green spaces and urban gardens for local communities. Brownfields redevelopment is a trademark of sustainable land use due to the economic and societal benefits of restoring an underused urban parcel being greater than similar development on greenfields. Goals of the smart-growth movement mesh well with those of brownfield redevelopment. Successful restoration of urban land includes integrated decision making, public involvement, and measureable outcomes for sustainability embodied in program designs. A challenge of brownfields redevelopment is the enormity of such a task- a 2004 report by the National Association of Local Government Environmental Professionals (NALGEP) and the Northeast-Midwest Institute (NEMW) predicts that there could be as many as one million brownfield sites nationwide. One acre of hemp has the ability to produce as much fiber as two to three acres of cotton. Little to no pesticides are used for hemp as well, and a single acre of hemp can produce as much paper as two to four acres of trees; hemp paper is also sturdier than tree paper, can be recycled more frequently, and requires fewer chemical inputs in manufacture. Harvest only comes after about 120 days. The plant’s intricate properties contribute to its four basic uses: food, fiber, fuel, and medicine. 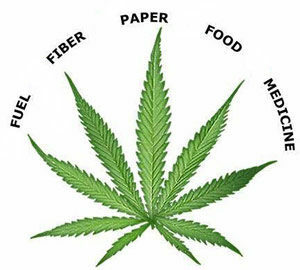 Fibers from hemp are extensively used in products including, but not limited, to fabrics and textiles, spun fibers (rope, yarn), paper, carpeting, home furnishings, construction and insulation materials, composites, and auto parts. Hurds, short and woody fibers in hemp’s stalk interior, are used for animal bedding, papermaking, composites and material inputs. Hemp seed and oilcake are useful in various foods and beverages, while having value as an alternative protein source. Oil from hemp seed is found widely in body-care items and nutritional supplements; the seed is also utilized as industrial oils, cosmetics, and pharmaceuticals. 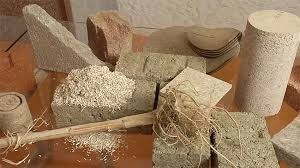 The global market for hemp may include more than 25,000 products in the nine submarkets: agriculture, recycling, automotive, textiles, food items, paper, construction materials, furniture, and personal care. A commonly overseen use for hemp, especially before the plant gets to manufacturing operations, is its usefulness in phytoremediation of contaminated soil. Overall, hemp plants are exceptional against heavy metals in soils, as shown by a study conducted in China. 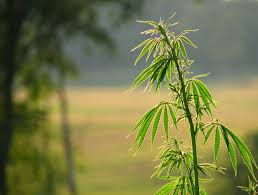 Eighteen cultivars of hemp were tested for tolerance and accumulation of cadmium (Cd) contaminated soils, screened for its potential bioenergy production in Cd-rich soils, and identified for its phytoremedial use. Results showed that all but three of the studied cultivars were considered to be good biodiesel crop candidates for phytoremediation in Cd contaminated soils. Research associates in Pakistan contributed further to deepen the knowledge pool research on hemp’s phytoremedial potential cadmium plus four other heavy metals. 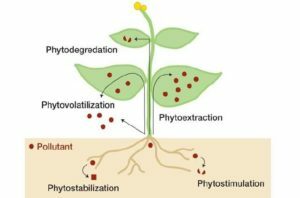 Hemp makes a premium candidate for phytoremediation due to high biomass, long roots and a short life cycle. Hemp also has a high capability to absorb and accumulate heavy metals (HMs) lead (Pb), nickel (Ni), cadmium (Cd), zinc (Zn), and chromium. 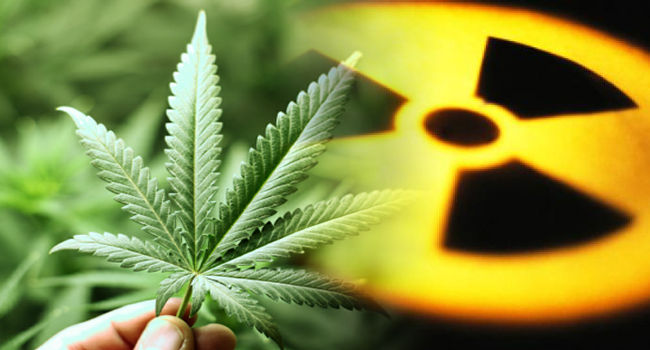 Hemp was planted in the contaminated soils of the Chernobyl disaster site in the Ukraine, and it was revealed that the plant can take up considerable amounts of HMs from contaminated soil thanks to high biomass and deep roots. Another reported study elected hemp as the best bioaccumulator of Cd out of eight potential energy crops. In the future, the brownfields redevelopment industry may want to consider phytoremedial hemp as the starting tool for urban improvement, but progress does not stop here. Hemp phytoremediation is a new potential first step in the process of brownfields redevelopment. Once the soil is detoxified, and the hemp is cleared, implementation of cover crops must ensue to nurture the soil. State voluntary cleanup programs (VCPs) and volunteers of the surrounding community must band together for the formation of green spaces. 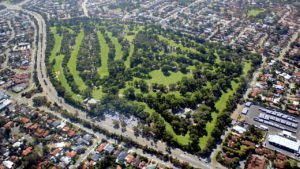 In a perfect world, the green space will either remain in place indefinitely, or be transformed into a garden for local food if a willing and qualified gardener shows interest. 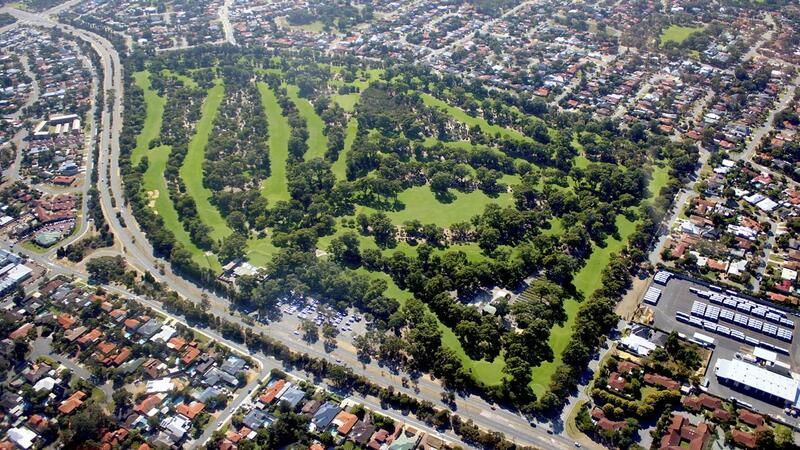 However, zoning laws will render transformation of a public botanical refuge to a food garden to be a cantankerous endeavor. It would be best to determine into what the brownfield will be converted during the project’s infancy. The EPA offers grants for tasks to make green-space creation possible. Regardless of whether a redeveloped parcel of urban land is rebirthed into green sanctuary in the concrete jungle, or becomes transformed into the community’s supply of local food, there is a broad acknowledgement that a good environment can enhance quality of life while advancing economic competitiveness. 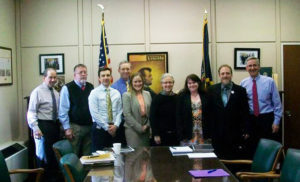 How Pennsylvania’s hemp industry will benefit. Urban soil phytoremediation will help the hemp industry get its restart in the two following manners: First, the plant will be advertised in densely populated areas for both its remedial qualities, and its use as starter tool for city improvement. Second, because of the potentially minuscule amount of profit made off of collaborative city-college research projects, Pennsylvania hemp will develop a philanthropic reputation against the pre-existing backdrop of an industrialized society which lauds wealth and materials. 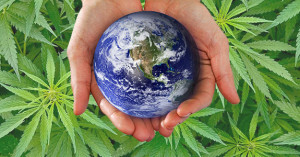 Once industrial hemp gets legalized for domestic commercial growth, mercantilism, and manufacture, the public would likely have the desire to support the hemp industry by buying their products. People will learn about the plant’s product potential with its dozens of uses, and they will cry out for commercial growth. Urban phytoremedial hemp will not be feasible for profit, but grown in multiple-acre fields, the resource will be a highly viable market in coming years. To conclude, industrial hemp has a long, rigorous path ahead, and higher education institutions, state and city governments, local communities, non-profits, and Pennsylvania’s hemp industry must collaborate to foster a needed renaissance of urban life. Multidisciplinary approaches must be made, and the state must think critically in its implementation of this revitalized crop to avoid corruption and scandal. End products of industrial hemp will exceed the expertise of every party involved; risks must be taken, money must be spent, and the public must be educated. Life, liberty, and the pursuit of happiness is the United States’ founding principle; if the government exists to protect the peoples’ three basic rights, it must also implement economy, environment, and social justice. Physical health brings about life and happiness, so when the tools and resources exist to fix the lack of urban residents’ accessibility for life and happiness, but the government fails to enact, then two entities occur: 1.) The government has failed its people, and 2.) Responsibility has been placed on smaller political bodies at the origins and sinks of injustice to help bring about a new era of equality.